Justin Levitt is doing exactly what he has wanted to do since he was a young boy; Tina Kay Bohnstedt, on the other hand, had no interest in dancing and only took it up at the insistence of her mother. Amazingly, Justin has never actually taken piano lessons. When he was about 7 years old, his mother suggested he try them. 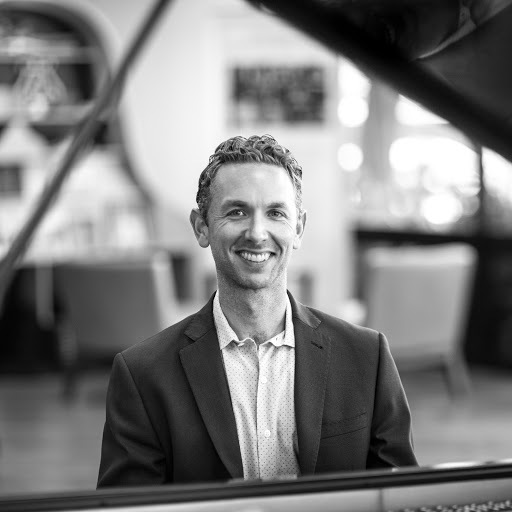 After one or two lessons, he says, “I declared that I hated the piano.” In high school he started listening to the instrument differently. “I heard some pop songs with cool piano intros, and noticed some of my favorite movies had beautiful piano scores and suddenly, I fell in love with it,” he notes. And composing, which he says “just kinda happened…helped establish who I am, gave me my voice” and, he admits, got him through some difficult times. Interestingly, Justin reports, in the beginning he couldn’t actually write musical notes because he didn’t know them. “So I would just write the letters of the notes rather than the notes themselves. The first year of my writing is just letters on paper,” he laughingly recalls. Since that time, Justin has won numerous awards, performed at Carnegie Hall, recorded six albums and published eight piano solo books. And, he adds, he’s the family cook. Justin refers to From Another Time as one of his all-time favorite pieces. “It’s very much like a story,” he explains. “There’s an intro, then the piece opens into a waltz and goes on a musical journey from there.” He says it’s a story that he could never fully tell in words. 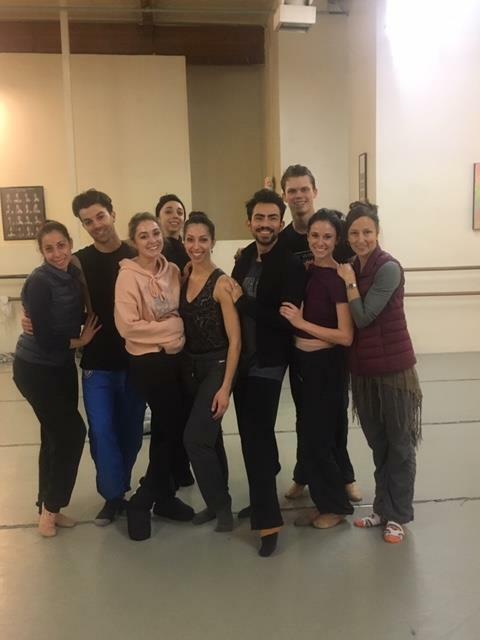 Diablo Ballet first performed this ballet in 2013; Justin played the music for Lauren who agreed that it was a beautiful piece for dancing; she sent it to Diablo Ballet alum and choreographer Tina Kay Bohnstedt, who also liked it very much. “I thought it was very sweet, delicate, humble and kind,” Tina recalls. As a young girl, Tina Bohnstedt grew up in the circus – Munich’s Circus Krone to be exact, one of the largest circuses in Europe; she thought she’d follow in her mother’s’ footsteps and become a trapeze artist. At her mother’s insistence, “because she said it would look good on the trapeze,” Tina, who admits to having “zero interest” in dance, began taking ballet lessons from one of the circus dancers. Displaying an obvious talent, Tina stayed with it, attending Munich’s Heinz-Bosl Stiftung Ballet Academy starting at 11 years old. At 18, she joined the Bavarian State Ballet, a large (80 dancers), prestigious company where she quickly became a principal dancer and where she was recognized with the Bavarian Cultural Award for Outstanding Achievement in the Arts. Ten years later and believing it was time to take a break from ballet, she moved to California. Realizing that she missed dancing, Tina, at the suggestion of a friend, auditioned for Diablo Ballet which, at the time, had no openings. As luck would have it, one of the dancers got pregnant and Tina was in, serving as a principal dancer with Diablo Ballet for the next 11 years. After numerous injuries and three knee surgeries, Tina knew it really was time to stop dancing. 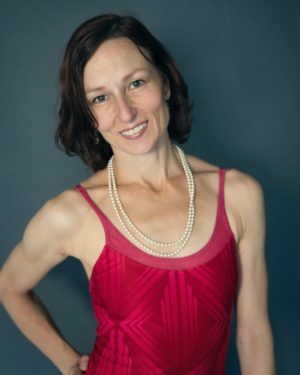 She accepted the position of ballet mistress for the Houston Ballet and thereafter taught master classes before taking over a private studio from a friend for two years. Tina now serves as the Ballet Mistress for Houston’s VITACCA Vocational School for Dance.